We are the leading Manufacturer, Exporter, Distributor, Trader and Service Provider of an exclusive range of CNC Lathe Machines, Siemens CNC Controllers, LT Panels, APFC Panels, PLC Panels, HMI Panels, etc. 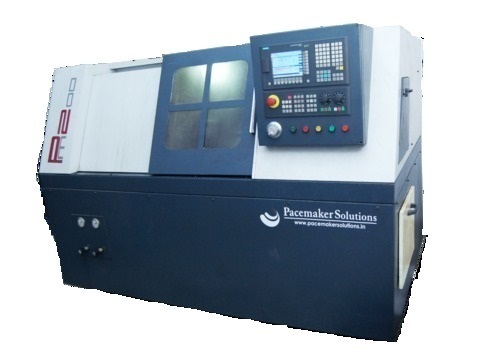 With our rich industry experience and advanced manufacturing unit, we are engaged in Manufacturer, Exporter, Distributor, Trader and Service Provider high quality CNC Turning Centers, CNC Lathe Machines, Siemens CNC Control Panel Systems, Retrofitting Services, Spacial Purpose Machines, PLC Panels, HMI Panels, Control Panels, CNC Machines Accessories, Servo Motors And Drives, Motion Products, etc. These products are manufactured using supreme grade components as per the latest technological advancements. The offered products are renowned for easy installation, shock resistance, low power consumption, corrosion resistance and long service life. Before supplying to the clients, these products are stringently tested on various parameters. Further, we also provide Retrofitting Services and Maintenance Services as per the needs of the clients within stipulated time frame.